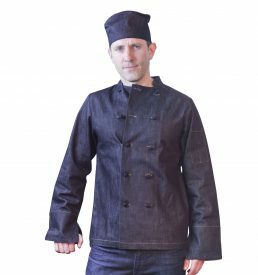 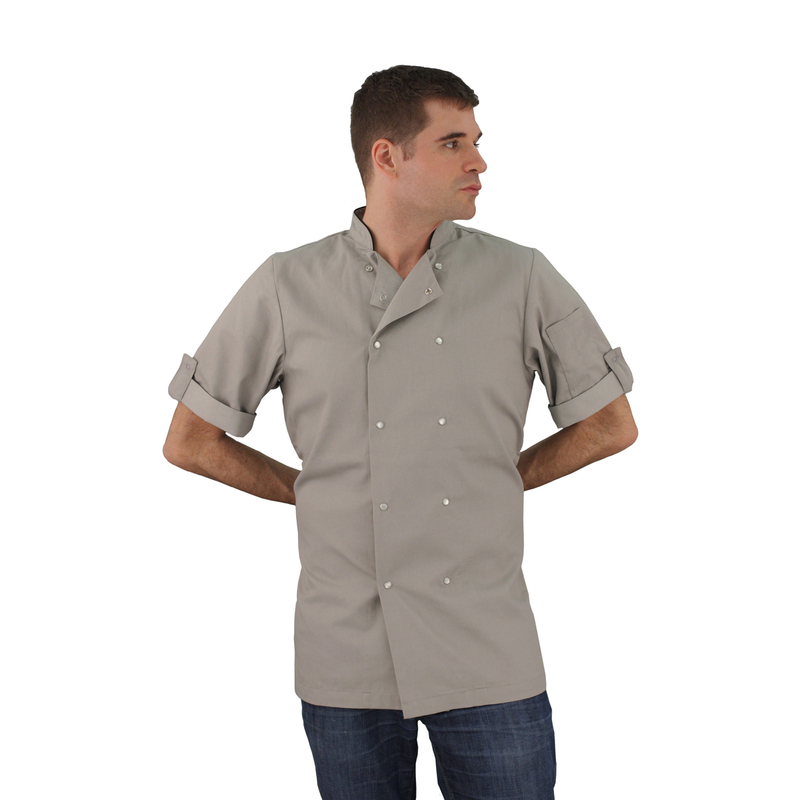 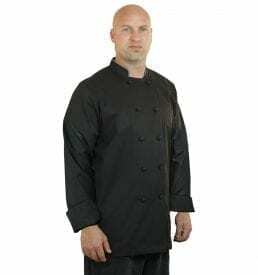 The contemporary, slim-cut Stone chef coat is made of an innovative, imported anti-microbial, odor-resistant, and stain-resistant Japanese poly-blend fabric featuring UV protection. A double-breasted snap-front placket and snap-tab roll sleeves allow for a comfortable and modern fit. 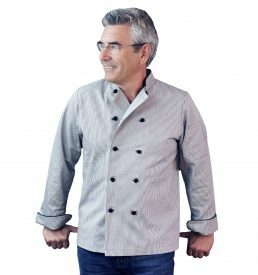 UV-protection is woven into the material.